Learn to ride the Rio Vista Delta Breeze to go to Sutter Health and Fairfield Kaiser (weather permitting)! Meet at Front and Main Street in Rio Vista at 7:30 a.m. Return back to Front and Main Street at 11:15 a.m. There will be extra time to shop at the Gateway Plaza between bus transfers. Our FREE Travel Training Program will help you get comfortable with riding public transit! MAY IS NATIONAL BIKE MONTH! 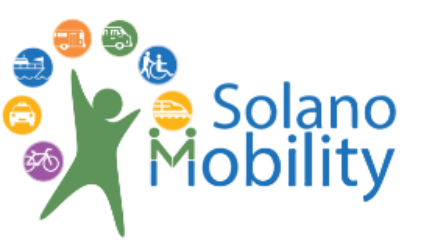 SOLANO TRANSPORTATION AUTHORITY WANTS TO GET SOLANO RESIDENTS ON THEIR BIKES AND OUT FOR A RIDE! HELP US KICK-OFF BIKE MONTH AT THE FAIRFIELD FARMER’S MARKET MAY 2ND FROM 3-7PM. CHECK OUT FORD GOBIKES AND USE YOUR PEDAL POWER TO MAKE A HEALTHY SMOOTHIE!